Overwhelmed by the idea of building a playground from scratch? Let our expertise and experience do the work for you. 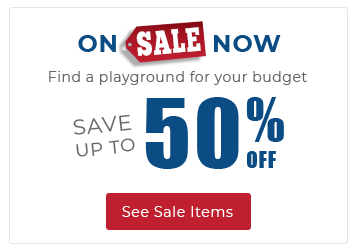 We offer bundled playground™ equipment packages that include everything you need, from start to finish, to complete the perfect playground. Each Bundle includes a commercial grade play structure, IPEMA certified safety surface, commercial plastic border timbers, ADA site access ramp, Professional installation, and FREE FREIGHT.